The world of e-commerce has exploded over the past decade, making brands that once were chained to local communities into massive powerhouses that serve a global audience. Because of the rapid expansion of the internet and the adoption of e-commerce by mainstream consumers, the reputation a brand enjoys online is now more important than ever. In order to preserve this reputation and grow it, customer reviews are inevitably necessary. Unfortunately, this same concept can also spell doom for brands that don’t get it right with customers the first time. Below, we’ll discuss many of the reasons why customer reviews – whether positive or negative – matter in this world of e-commerce. More than 90 percent of online consumers report that they look over customer reviews before making any decision, with more than three-quarters reporting that the content they find influences whether or not they make a purchase from the vendor. Customer reviews provide a sense of trust to the shopper; a brand with 0 reviews whatsoever will likely be viewed with more scepticism than a brand with 50 positive reviews and 5 negative reviews. Pinging your website with lists of these reviews – whether they’re left on the website itself or externally – is generally a good idea because it indicates that you are a real brand with real products or services to offer. Consumers not only look to customer reviews when making their decisions, but they also recommend brands to others based on what they find and experience. It is unavoidable that word of mouth is a concept that cannot be avoided even in the digital realm, and it continues to play an important role in how brands grow (or don’t). People recommend review-laden brands because they can tell there is enough interaction between customers and brands to determine they are legitimate. In addition, the amount and quality of the reviews may even shape the opinions shoppers have of their own experiences. People inevitably are going to leave negative reviews, which is a prime talking point for businesses that are afraid to face the public by enabling reviews through one or more platforms. Unfortunately, someone who has had a negative experience is far more likely to leave a negative review than a happy customer is to leave a positive one, but there are still plenty of ways for customers to voice negative opinions without pinging your website. By not enabling reviews, more people will take to the web and find other places to complain about your brand. These standalone complaints will have greater effect than they would when mixed in with plenty of positive ones, so do not avoid enabling reviews thinking that it will prevent bad feedback. 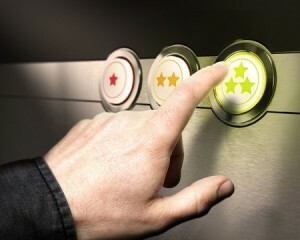 Brands that follow through well with customer service will be rewarded in one way or another through customer reviews. Not only will great brands naturally garner more positive reviews, but the ability to interact with frustrated customers through the review interface provides brands the ability to show-off their ability to thrive under pressure. This can often be a net-positive when dealing with sceptical, prospective customers.